E ngineered quartz is the style chameleon of countertops. Whether you love modern or traditional, apple green or ecru, honed or polished, flecked or patterned, quartz’s myriad options will have you covered. Engineered quartz is also easy to maintain, nontoxic and nonallergenic — there’s not much to dislike about this stunning man-made material. The basics: Engineered quartz is a man-made product formed from roughly 90 to 95 percent ground quartz and 5 to 10 percent resins and pigments. 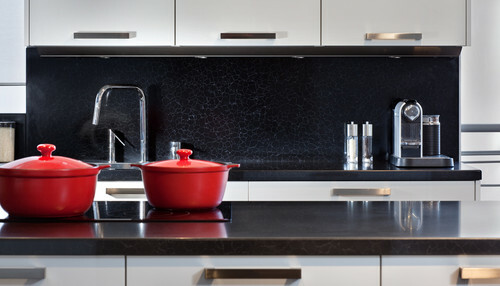 Commonly found brands includeCaesarstone, Silestone, Zodiaq, Cambria, Technistone, HanStone and Q. Several manufacturers have upward of 40 options, like colors from bright red to earthy linen and patterns from crocodile to concrete. Cost: $95 to $105 per square foot installed.